ZC give a few player names and teams (see below). In italics I have included other likely additions. I'd expect all national team players, as well as those from the SAA series to take part, but beyond what's below I'd just be guessing who they'd be playing for (although I think they would be playing for the same team they did last season). If you see a player on this page, there is a good chance they will be playing, and my guess is most Takashinga players will turn out for the Northerns. 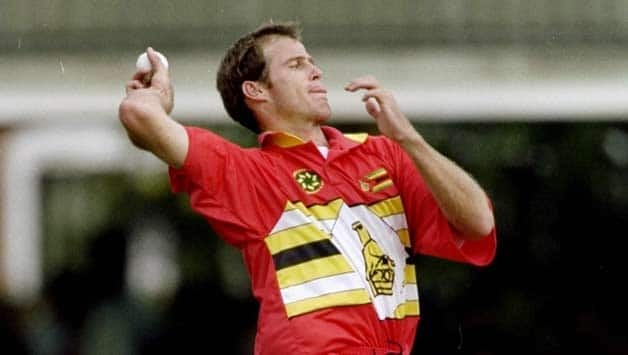 ZC think Northerns are the favourites (maybe with Chakabva, Chigumbura and Taylor they'd be pretty good odds) but I still think Westerns will go for the domestic triple (ZC T20, Logan Cup, Faithwear). By the way, who sponsors the domestic twenty20 tournament in Zim? Hmm the usual dearth of information surrounding domestic cricket. I wonder how the players know when and where to turn up for games and for which side? Easterns (168/2; Masakadza 101, Matsikenyeri 37, Mboyi 1/19) beat Westerns (128/9; Mupariwa 26, Mujuru 25, Masakadza 2/34) by 40 runs. Easterns beat Centrals by 54 runs - no details available. Northerns beat Southerns by 158 runs - no details available. Westerns beat Southerns by 58 runs - no details available. Kopje wrote: By the way, who sponsors the domestic twenty20 tournament in Zim? Good to see masakadza hitting a ton...and Matsikenyeri getting a few he is an automatic selection for the pro 20 series in the current form he is in. his strike rate has been brilliant in the domesti champs Matsikenyeri is definatly making a come back good to see. Its dissapointing tht zim arent giving scorecards for the games I would like to see how other players are doing. Easterns (93/3; Masakadza 50, Mtizwa 24, Cremer 1/22, Chigumbura 1/31) beat Northerns (92; Taylor 19, Chigumbura 18, Price 14, Utseya 3/14, Jaure 3/22, Masakadza 2/6) by 7 wickets. Centrals beat Westerns by 6 wickets. Northerns beat Centrals by 9 wickets. Easterns beat Southerns by 6 wickets. Easterns are a cert for the final; Based on that table, Northerns, Centrals and Westerns are all in with a shout for the other slot (Northerns get it if they beat Westerns; net run-rate otherwise, and I don't have the info to work out the possibilities there). Of course, ZC haven't actually released a points table and could be using some other method, which may change what outcomes are possible. Opps , didnt see that when i read it, thanks buddy.